Apologies guys for combining both trades into one post, but I’ve run late on this one long enough. My first trade was with Rhubarb Runner from e Reyhahn, Reyhahn, a blog I’ve enjoyed for quite awhile now. He contacted me with a trade proposal, and we worked something out, with an eye toward a future, larger trade, I hope (the holiday season is just kicking me around timewise). Here’s a sample of what he sent! 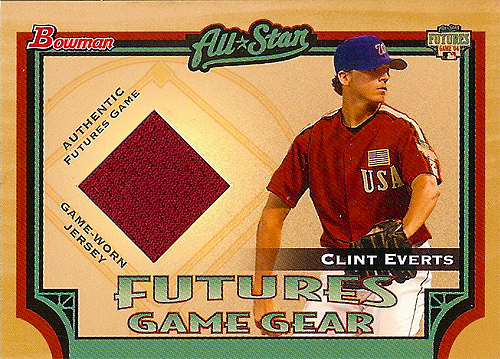 Very cool, goes straight into the Zim collection. I dig it. And then here’s that OTHER Zim. 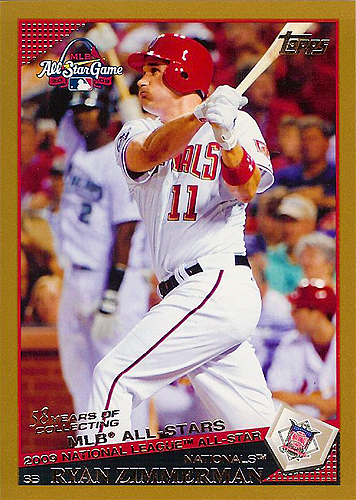 I’m always happy to get Jordan’s cards, and I like this one a lot – I feel the photo works a lot better with the gold borders than the white ones. 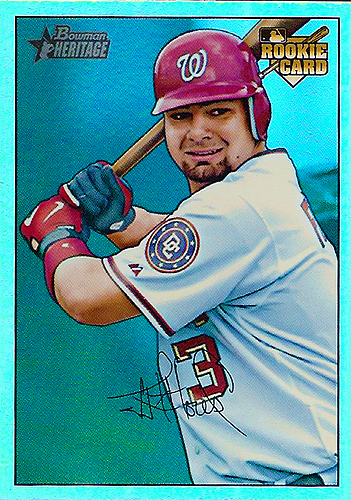 I think this was my first Opening Day blue card for this year, and I like it a lot. 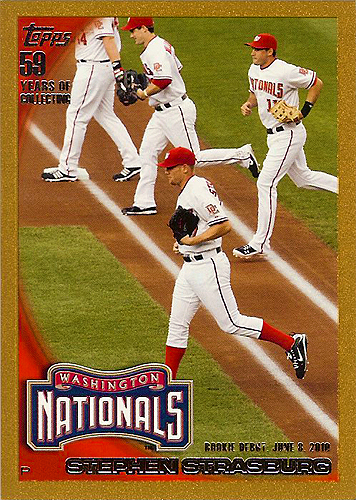 I may try to collect the entire team set. Well, duh. He wasn’t sure if he wanted to part with this one, but I appreciate that he did. 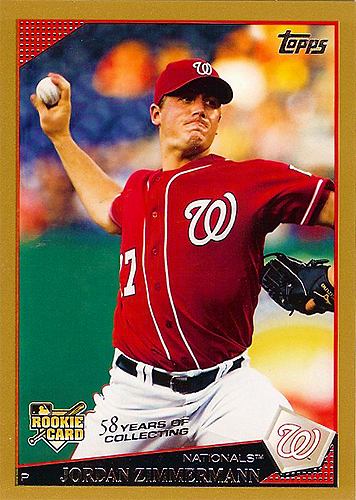 It’s definitely going to occupy a cherished spot in my collection, especially as it has both Stras and Zim on the same card. Very cool. 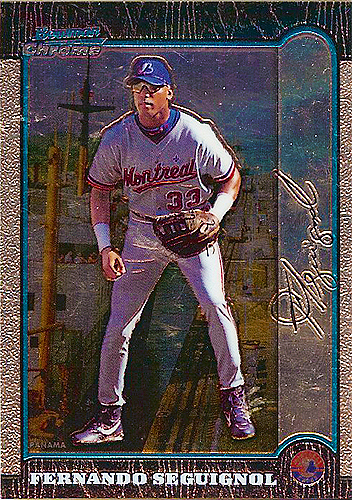 That coloring job is horrific, but I will always ALWAYS want a card with The Big Train on it. 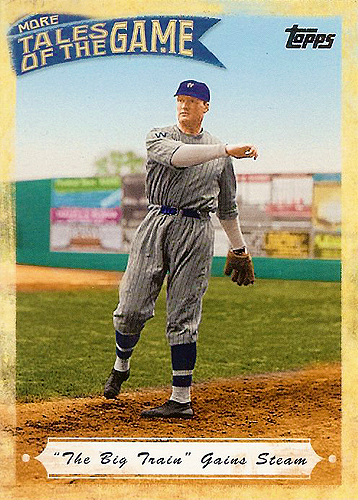 Walter Johnson was the man. 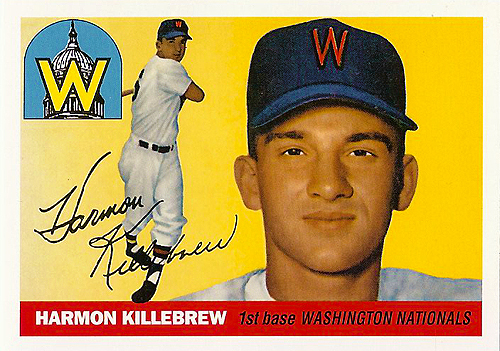 I’ll also always want cards with Killebrew as a National/Senator. 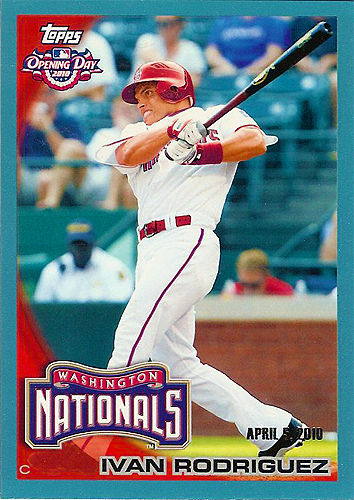 He was in Washington for such a brief time that these cards, even reprints, are always a treat. 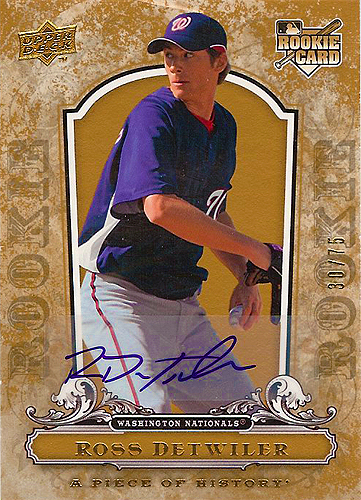 Detwiler will likely not become much, but this is cool because I have the non-gold edition of this card…putting the gold next to the regular is incredibly sweet. Like I said, sometimes it’s not about the player’s star power; there are lots of other factors. 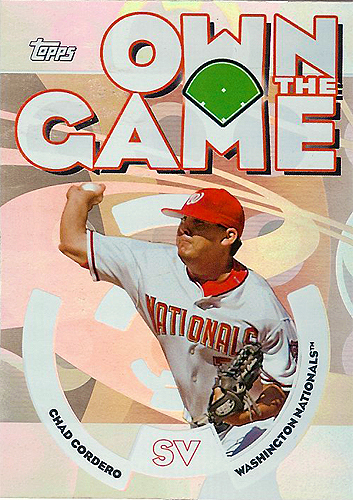 The 98 and 99 Bowman Chrome International cards are AWESOME, and this one is no exception. 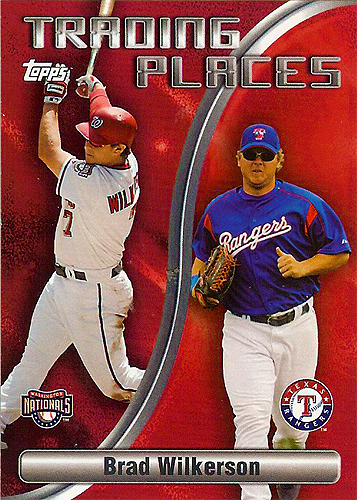 A couple of cool 06 Topps inserts. 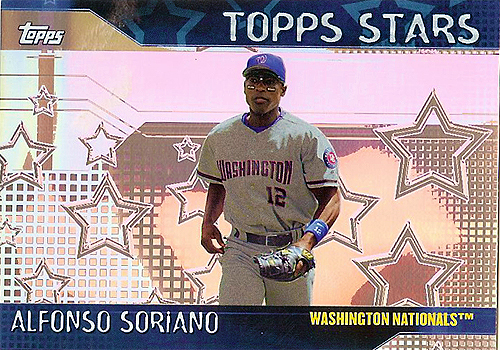 Another insert that seemed highly appropriate next to Soriano. Are these refractors or rainbow cards? I’m never quite sure. Either way, love the set, and I like Jesus Flores. I keep holding out hope he’s not injured again. There was a lot more stuff, but this is all I really have room for. Thanks a lot, guys! I hope you enjoy what I sent your way.